Each year my sister, Chris, and I take a vacation together that we have come to call our sister trips. 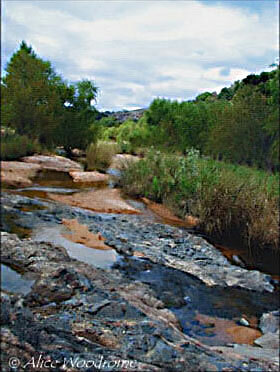 In October of 2004 we went to the hill country of Texas. 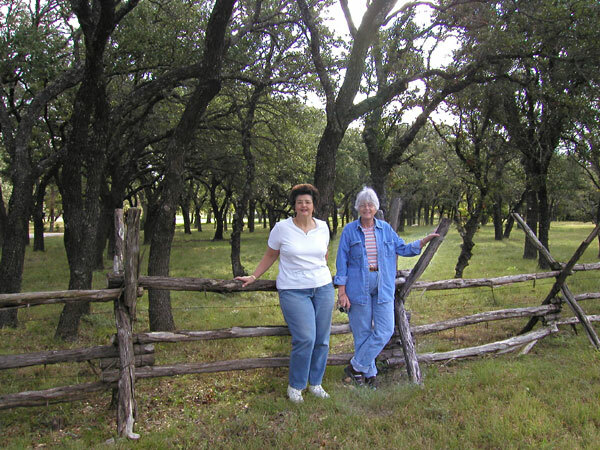 We had been to the region before -- to Austin, San Antonio, Fredericksburg and along the highways -- but we wanted to see the way the hill country looks away from civilization. We explored the state parks and natural areas, walking along the region's lakes and rivers. We hiked every day, saw wildlife, native plants and wildflowers and awesome scenery. After venturing off the Interstates through that part of Texas, we knew we had never really seen the hill country before. We became convinced that one can only experience the true character of a land off the road and with a sturdy walking stick. We also visited the more accessible tourists haunts, like the River Walk in San Antonio and the Ladybird Johnson Wildflower Center in Austin. We were gone slightly under a week, but we saw so much in those few days, and had a truly wonderful time. We both used Olympus digital cameras to take these photographics. Some have been enhanced a bit using PhotoShop or Paint Shop Pro. We hope you will enjoy our vacation pictures.